Gov. John Hickenlooper at a coffee shop in New Hampshire, where he told an employee he was running for president before immediately walking it back. Updated Oct. 31, 2018 at 3:45 p.m. — A spokesman for Gov. John Hickenlooper claims he was making a joke Wednesday morning when he told workers in a New Hampshire coffee shop he was going to run for president. 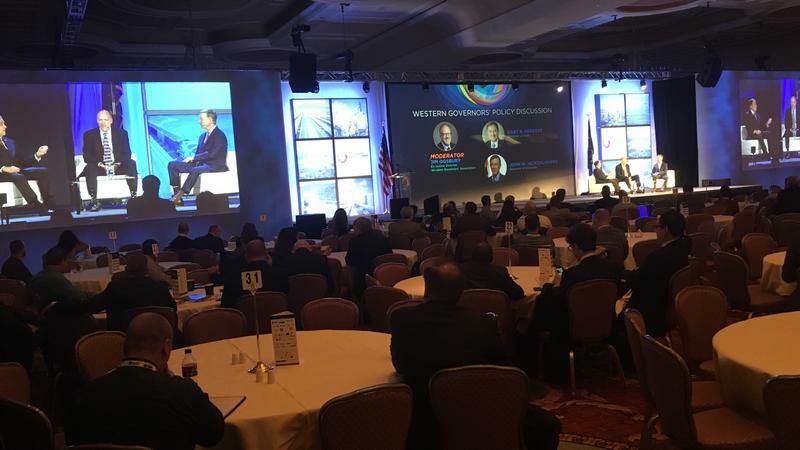 But some political observers, including one who once worked for the governor, don't think Hickenlooper made the comment to get laughs. Scott Wasserman served as Hickenlooper's deputy chief of staff from 2013 to 2016. He thinks Hickenlooper's comments were meant to be a trial balloon. "I think what we saw today, candidly, was a governor who is trying a candidacy for the presidency on for size and going through the right motions and steps to figure out if this is what he wants to do," Wasserman said. "It felt to me like in that moment, he wanted to gauge reaction, and try that statement on and see how it felt for himself as well as the people he was talking to." Wasserman added he was surprised to hear Hickenlooper make such a bold statement when he was still saying publicly he was exploring a bid. Brad Komar, who heads the Giddy Up PAC Hickenlooper created last month, said Hickenlooper was only joking when he declared he was running for president. Komar said Hickenlooper gets asked dozens of times if he's running for president when he visits Iowa and New Hampshire. Komar said the governor decided to respond to the frequent question with a joke. Hickenlooper was in New Hampshire to support Molly Kelly, a Democrat running for governor in the state. Gov. John Hickenlooper told an employee at a café in New Hampshire on Wednesday that he is running for president. But the governor immediately tried to keep the guessing game over his political future going by trying to walk back that declaration just a few seconds later. 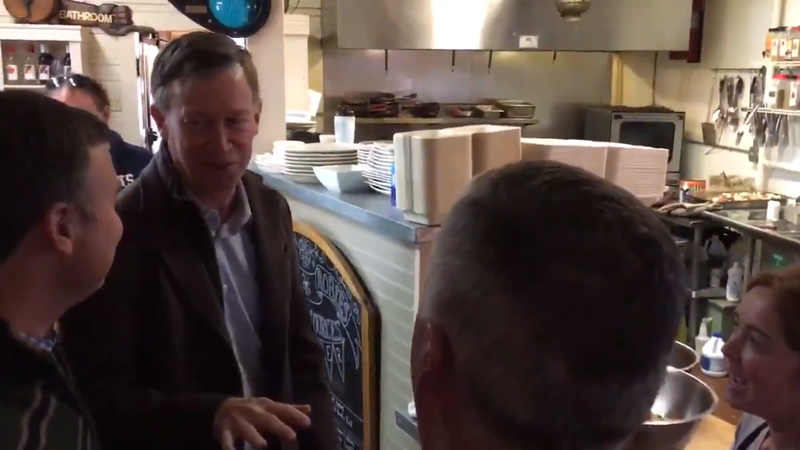 "I'm the governor of Colorado and I'm going to run for president," Hickenlooper told the employee at a café in Hookset, just north of Manchester. But after the congratulations and well wishes started pouring in around him, the governor appeared to get cold feet. "To be honest, to be honest I haven't made the final decision," he said seconds later. "And if I say I'm absolutely (running for president) then there are all sorts of legal ramifications. So we'll say I'm leaning strongly." The moment was captured on camera by Adam Sexton, a reporter for WMUR News 9 in New Hampshire. 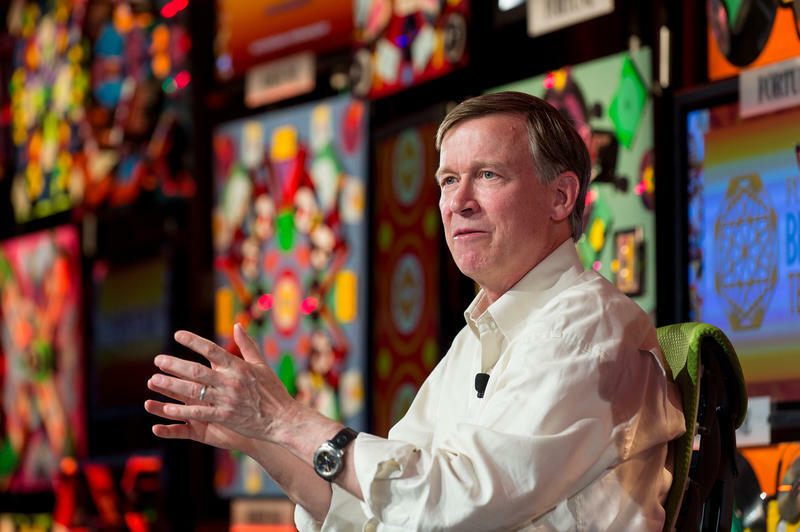 Hickenlooper's political future has been the subject of speculation in recent months. His trips to Iowa and New Hampshire have fueled guesses that he is preparing to mount a presidential campaign in 2020.